Imagine receiving an alert if you left your garage open. Or being able to turn on your lights when you’re not home. 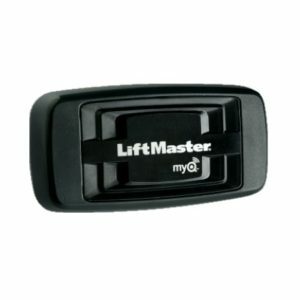 The LiftMaster® Universal Garage door control does this by letting you monitor, open and close your garage door from anywhere and control home lighting…all from your smartphone, tablet or computer. 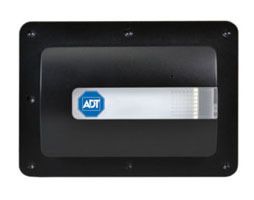 (This uses an app that is separate from ADT Pulse and is not connected to your ADT Pulse system) compatible with any automatic garage door opener connected to a sectional garage door with all entrapment protections in place. 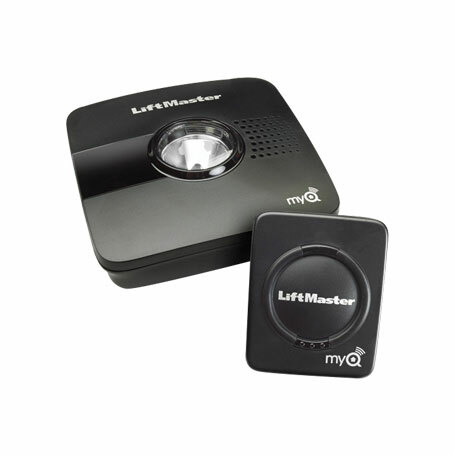 MyQ Technology enables you to securely monitor and control most garagedoor opener brands, along with home lighting, with your smartphone, tabletor computer. Alerts can be received as email or pop-up (push) notifications on yourmobile device so that you always know the status of your garage door andhome lighting. 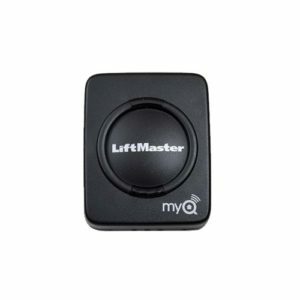 Controls up to two garage doors at once (requires extra door sensor, soldseparately) and up to 16 MyQ-Enabled devices. 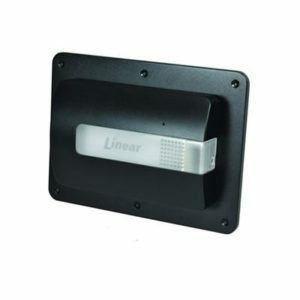 Wi-Fi Hub mounts near garage door opener and plugs into outlet. 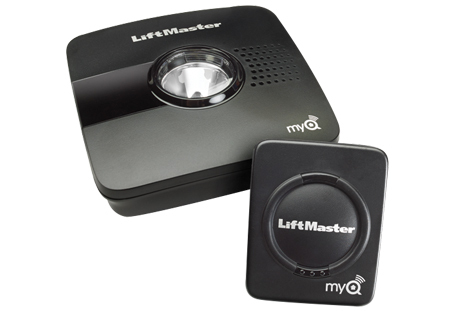 The hubwirelessly communicates with the garage door opener over your home’s Wi-Fi. Includes Door Sensor and Wi-Fi Hub. 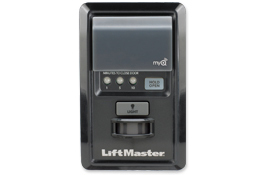 With it you can control up to two garage doors at once and up to 16 MyQ-Enabled devices. 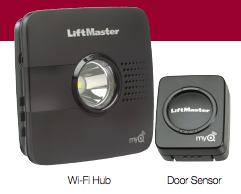 The Wi-Fi Hub wirelessly communicates with the garage door opener over your home’s Wi-Fi. Alerts received as email or pop-up (push) notifications on your mobile device so you always know the status of your garage door and home lighting. 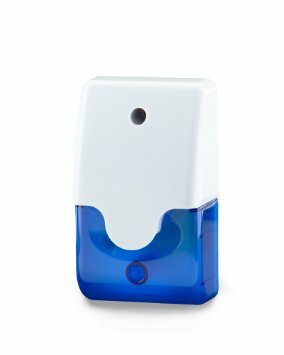 With MyQ technology, you can stay connected to your home wherever you go via your smartphone, tablet or computer. 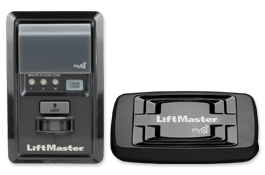 Liftmaster Universal Garage Door Control enables you to manage, monitor and control everything from lights to garage door openers and beyond—anytime, and from anywhere.